I think there has been lot’s of great natural and organic skincare options for sometime, but the most exciting developments are happening in make up which has always been a little bit behind the mainstream beauty market. 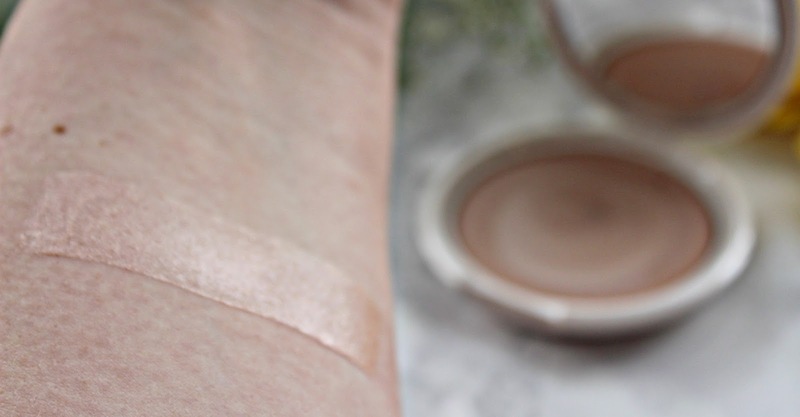 Ere Perez is a brand I have mentioned previously and I have been really impressed with the quality of the products on offer, the Rice powder blush is one of my favourites, such a pretty colour (See it reviewed here). I saw a few reviews of the Versatile Vanilla Highlighter* (£23 for 11 grams) and I was curious to see how the formula would compare to some of my favourites, like RMS and W3LL People. I think a cream highlight always looks the most natural, although I don’t wear a lot of make up on a day to day basis I love a touch of highlight on the cheeks on a night out and I always think it brings a make up look together. Versatile Vanilla is a pretty slightly warm tone, in person it almost looks slightly rose gold, but it isn’t too much on the skin, it looks natural and blends well. 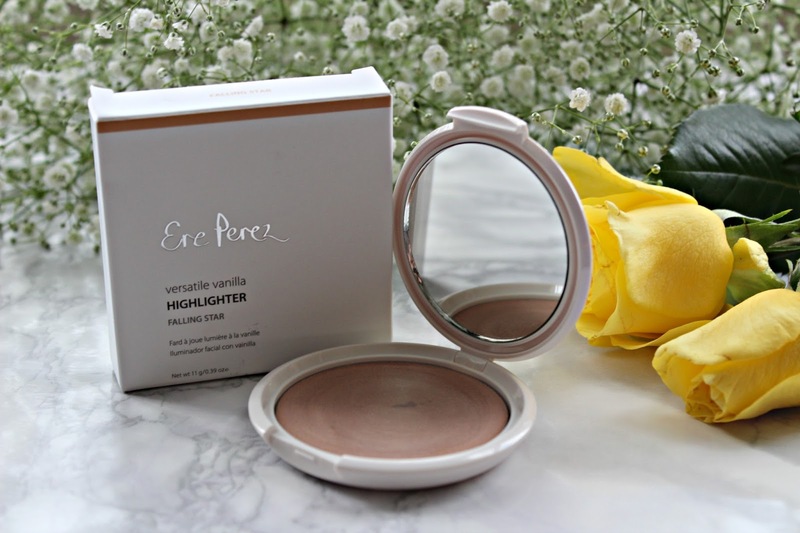 In terms of quality Ere Perez in my opinion compares really favourably to other brands like RMS, the big difference with this highlighter is that it is beeswax free and suitable for vegans. Fatty acids and olive oil form the basis of the cream and have a nourishing effect on dry skin, the fatty acids in this case are derived from coconut oil. It also contains avocado oil, grapeseed oil and cocoa butter, so as you can see the ingredients list is really wonderful. There are two shades to choose from Falling Star (swatched above) which is the lighter shade and Sun halo which is a darker more golden highlighter. On the Ere Perez website it describes Falling Star as a silver shade, but I disagree a little bit as I think it is a lot warmer in tone than something like RMS Living luminizer which is does have a silvery tone. My highlighter came packaged in a plastic, sturdy compact with a mirror, but Ere Perez are currently going through some packaging changes and it now comes in a glass pot which I personally prefer as it takes up less room and is more eco-friendly. If you have a preference in terms of the packaging you might want to check which version is in stock before you order, as some sites still have the old packaging and some have switched to the new. The size of the highlighter is really generous and I have been so impressed again with the quality of the product as well as the simplicity of the ingredients. I think this is the perfect addition to anyone’s make up bag for the upcoming festive season. It looks beautiful on the cheekbones, cupids bow and the inner corner of the eyes. The formula is gentle on the skin and blends easily so it looks natural. Ere Perez is available at Love Lula* who offer free international shipping.